Lion and Lioness! How beautiful when they are together and loving to each other. This is what we want to focus on. The sweetness and kindness and playfulness of Leo the Lionhearted. We get so many opportunities each month with each new Moon according to the sign it is in to grow to a more evolved human being. Sun and Moon in Leo gives us an opening for a few days to enjoy our confident creative persona and do all we can to move forward with whatever projects we are working on. 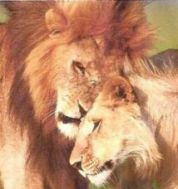 If we use the power of this event with both our masculine and feminine nature intact; we will be able to benefit from the fire and passion of Leo. With this new moon about to surface in our beautiful sky we will be asked to use our wonderful ego to share our personal truth in a creative and generous way. As each day, month and year goes by our evolution to a more evolved and aware consciousness is, hopefully, becoming evident. This is what astrology is based on. As we are now moving further and further into the Age of Aquarius, opposite sign to Leo, it is critical that we learn to more easily go back and forth from living as individuals who are searching for personal satisfaction to taking into consideration the collective consciousness of our planetary journey. Enjoy who you are! A beautiful expression of God/Goddess Energy. 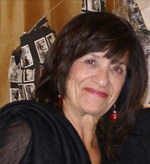 www.mariafrancescatriliegi.com – See my website for my latest offerings!
" When the National Science Foundation asked the "breakthrough" scientists what they felt was the most favorable factor in their education, the answer was almost uniformly, "Intimate association with a great, inspiring teacher."" I think we all need some sort of a mentor, or a role model, or an inspiring teacher in our lives. We may have one, or we may be fortunate enough to have several. Great teachers can give us more than we can get from books or history lessons. When we form a personal connection with a teacher, we also learn from that teacher's life experiences. It is meaningful to us because we understand that the teacher is invested in our learning, he or she cares. That inspires us.